Each year, Medicare beneficiaries have a short window of time to select new coverage. 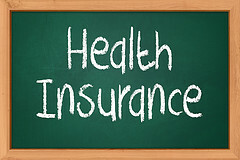 This year Open Enrollment Season starts on October 15, and closes on December 7. Given the incredible complexity of the Medicare rules, known to humble almost every senior, it is tempting to merely renew one’s existing plan during the Open Season. There are two components of your Medicare coverage to review. One is whether to keep or switch to Medicare Managed Care, known as Medicare Advantage, and the other is whether to change your prescription drug policy. The other components of Medicare coverage, Parts A and B, which cover hospitalizations and physician and outpatient services, respectively, do not change without Congressional action and need not be reviewed. For a great overview of Medicare, you can look at the Kaiser Family Foundation website. Have You Experienced Changes in Your Health that May Require On-going or Specialist Care? Because the panel of physicians in Medicare Advantage Plans is small, confirm that you are comfortable with the selections of doctors that are available to you in light of your current health status. Also do the math. If you are likely to see a physician frequently or undergo lots of testing, figure what your out of pocket costs will be. The lower premiums of the Advantage Plan could be subsumed by the out-of-pocket charges, which typically are not capped until you pay $6700 per year. Do You Have Extensive Travel Plans? Find what physician groups in other states are part of your plan. Understand what coverage will be available to you if you go abroad. You may have no overseas coverage, which may change your own calculus of Part C’s value to you. There are on average 29 different private plans offered under Part D in each state. Each plan has a formulary, a list of drugs that are covered under its plan. Medicare has established 148 categories of drugs, and each plan is required to cover at least two drugs in each of the 148 categories of drugs. But the pricing and conditions for coverage can vary widely. Each plan will assign each covered drug to a “tier” for purposes of pricing. Drugs on the lower tiers have less expensive co-payments that those in the higher tiers. As of January 1 of each year, all drug plans are allowed to change both the drugs in their formulary and the costs for each drug. As a result, everyone should make a list of the prescription drugs they take and confirm that their Part D Plan will continue to include those drugs in its formulary, and how much the co-payment will be. It may be difficult to know what drugs you might need during the upcoming year, and it can be helpful to confer with your physician while reviewing your coverage. In addition to making changes to the formulary, drug plans are allowed to impose “utilization management tools” to reduce the use of certain drugs. These tools can consist of a) requiring prior authorization in order to fill a prescription, b) imposing quantity limits on the number of pills that can be ordered at any given time and/or c) requiring the beneficiary to try a lower priced drug before the plan will cover a higher priced drug in the same category, a practice known as step therapy. These management tools can create significant barriers to obtaining the desired medications, and their use should be factored into your decision. Given the number of plans and prices, how can you make an informed choice? Thankfully, there are resources to guide you. First, check with your pharmacy. They deal with the plans on a daily basis and their experience and knowledge can be very helpful. One of the best tools is the Medicare Plan Finder. You enter your zip code and the drugs that you anticipate needing during the next year, and it will identify the plans that cover your drugs and give you pricing information. Each state has trained counselors to advise beneficiaries about their Medicare choices. You can access a counselor through this Medicare website. Good luck and good health! Next Article: Being Mortal: High Praise for The Green House Project!